San Marcos Hygienists - World Class Cleaning and Periodontal Care! Grandon Village Dental Office is proud to announce the addition of our newest hygienist, Gianna Bainer. Gianna joins us from the inland empire, She is very excited to be part of our team in providing great dental care. She is a graduate of Loma Linda University's School of Dentistry. Her passion for dental care was inspired by her mother, who also is a registered dental hygienist. She is known for gentle but thorough cleaning and looks forward to meeting your hygiene needs. 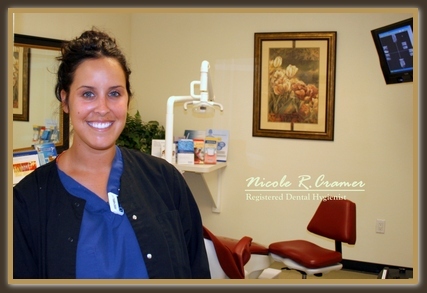 Nicole Cramer has been with Grandon Village Dental since 2008. 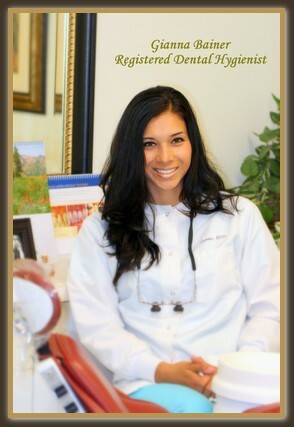 She is a graduate of Loma Linda University School of Dentistry. She is a wife and a mom of 2 wonderful kids. We have been blessed having her attention to detail and her great sense of humor. Her patients all love her great attitude, and we think you will too! At Grandon Village Dental Office we strive to offer the best preventative care available. All of our registered hygienists will work with you to keep your mouth in optimal condition. Our goal is to offer friendly care for all your periodic exams and necessary cleaning. Also, in order to keep people aware of when their exams come up, we have a coordinator who will call you to remind you of your coming exams, and also schedule you if you have accidentally fallen off your normal hygiene program. If you have not been contacted, and are due for your cleaning with one of our talented hygienists please call us and we will be happy to schedule you!